The cervical vertebra can get fractured by an accident, a fall, or any severe injury that has an impact on the neck. 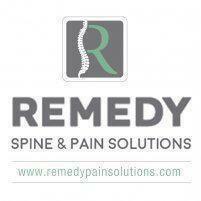 This can lead to many issues in the spinal cord, resulting in excruciating pain and other disorders. For instance, trauma to any of the first three cervical vertebrae can lead to functional loss of the diaphragm, which could further relate to fatal breathing issues. At the same time, injury to the fourth and fifth cervical vertebrae could result in partial or complete functional loss of the shoulders, biceps, wrists, and hands. In addition to that, where damage to the sixth cervical vertebrae would leave your hands and wrists partially or fully immobilized, a fracture to the seventh cervical vertebrae would prevent you from using your hands, arms, and fingers skillfully. Physicians say that cervical vertebrae damages are not that common, when compared to cervical pain or other aging symptoms like bone spurs and cervical osteoarthritis. However, any injury to the back or spine can lead to the issues stated above. It has been known that many people encounter issues like cervical bone spurs and osteoarthritis when they reach the age of 60. Bone spur, or medically known as osteophyte, is the enlargement of facet joints located within and behind the adjoining cervical vertebrae. These smooth structures can further grow to the bones, leading to regular joint pains, especially in the arms and legs, as well as neck pain and weakness. Studies show that a bone spur may or may not be the reason for neck pain in an individual. Sometimes, the bone spurs are simply the indicators of degeneration of the cervical vertebrae, and the wearing out of the cartilage between the spinal joints. This condition is known as cervical osteoarthritis or cervical arthritis, and it usually leads to pain in the shoulder area and between the shoulder blades. Physicians typically do not recommend any surgery for cervical vertebrae fractures or cervical osteoarthritis, but they do advise you to go in for one if the case were that serious. Mostly, the cervical vertebra issues are treated with medications, painkillers, rest, exercising, or sometimes, physiotherapy and chiropractic treatment.